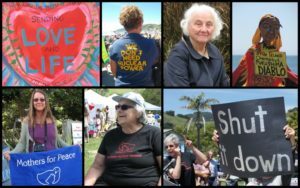 San Luis Obispo Mothers for Peace (MFP) and Women’s Energy Matters (WEM) welcome the unanimous decision by the California Public Utilities Commission (CPUC) on the closure of the Diablo Canyon nuclear plant. In remarks supporting the Decision, CPUCPresident Michael Picker cited the work of MFP and WEM in the proceeding. The two organizations presented testimony and analysis showing that the plant is increasingly uneconomic to operate. Although PG&E proposes to shut down the two reactors at Diablo Canyon in 2024 and 2025, today’s Decision keeps open the door for an earlier closure date.